–Container Stop is excited to announce that they have expanded their company and are now providing Salinas storage containers. This means even more people can enjoy the great service and products that Container Stop has to offer. Since they got their start as a company in 2015, Container Stop has become one of the premiere locally owned and operated companies in their industry. Container Stop specializes in delivering customizable and durable storage and shipping containers. They do rentals, purchases and so much more. Whether customers need a small 10’ container for their backyard, or a giant 40’ container for their lot, the company can help make sure customers find the right option for what they need. Also, with so many choices out there, Container Shop makes sure their customers know their options. They also have many other customization options such as adding insulation, adding windows, adding doors and much more. They even offer used shipping and storage containers for those individuals out there who want some extra storage, but also want to save a little bit of money at the same time. Best of all, the company will even deliver the container to the exact location the customer wants it on their property. However, their world class service doesn’t stop there. They can help out new customers find the perfect container, and also be there along the way to answer any questions they might have. In the market for some Salinas storage containers for personal or commercial storage? If so, the first place to look should be Container Stop. Not only can they provide customers with amazing containers (and deliver and set them up), but they can also provide amazing service and support, whether in person or on the phone. Salinas has a population of about 150,000 people and is located less than 10 miles from the Pacific Ocean. The marine climate of the area is amazing for veggie growers, vineyards and the floral industry. It is the main business and governmental center in the Monterey County region of California. –Container Stop is pleased to announce that they have expanded their company and are now serving Fresno storage containers. For years, Container Stop has been one of the premiere storage container companies in all of California. Since their start as a company in 2015, Container Stop has grown into one of the best locally owned companies in their industry. They have provided shipping and storage containers to various different locations across the state of California and continue to grow as a company. Whether customers need a large 40’ storage container for their property, or a smaller 10’ container, Container Stop can help. There are also many customization options such as insulating the container, adding windows or doors, and much more. The company will also deliver them to wherever the customers are, and their customer service and support is top notch throughout the entire process. They can answer any questions a customer might have and can guide them along the process of purchasing, renting, using and maintaining a storage container. Container Stop is also great for those looking to save a bit of money too. In addition to selling brand new and customized storage containers, they also provide used containers that will offer customers the same great storage and service, with a slightly lower price! Need some Fresno storage containers for storage or shipping? If so, be sure to reach out to Container Stop as they can help customers find the perfect container, while also providing them with world-class support along the way. They accept a wide range of payment options and their storage containers are great for either personal or commercial use. With a population of well over 500,000 people, Fresno is the 5th most populous city in the state of California. It is an economic hub for the area (with agriculture being very important) and is nearly in the geographic center in the state. Because of this, getting to anywhere from Los Angeles, to San Francisco, to Sacramento isn’t a problem. Container Stop, a Paso Robles storage container provider, has recently announced the launch of a new website designed by Access Publishing, publishers of Paso Robles Daily News, Atascadero Daily News, and SLO County Visitor’s Guide. The new website features a wide array of new tabs, including a gallery, home page, contact information, and request a quote, where visitors can email Container Stop for a quote on rentals or purchases. The “Request a Quote” tab takes the user to another page, where one can fill out information such as name, email, company or organization (if applicable), delivery address, city, state, and contact information, as well as desired specifications for the containers needed such as how many, container type (standard dry, chassis, refrigerated, or all), the size of the container needed (10 foot, 30 foot, and 40 foot offered), whether a rental or sale is needed, option for a cargo worthy shipping certification, and whether or not one has the means necessary to unload the containers such as a forklift and an option to provide further information necessary to help provide a price quote. The Gallery tab takes users to a page that features pictures of some of the shipping containers offered by Container Stop and also showcases some of the modifications that have been made to the containers and are offered by Container Stop. In many of the pictures modifications such as standard doors, windows with shutters, and even pull-up doors to make mini storages out of the containers. Container Stop is a Paso Robles Storage Container company started by local and Cal Poly graduate Garett Crocker to fulfill a need in the Central Coast and North County for outdoor, mobile storage. They offer fairly priced shipping containers as well as modification services to suit whatever needs customers may have. Container Stop ships all throughout California, and will even ship out of state, but offers free delivery to local orders. For all of Paso Robles shipping container needs, think Container Stop. Container Stop delivers containers all over San Luis Obispo County, all of California, and anywhere a client needs their units. This video below will show you just how professional of a delivery service Container Stop is. You can even hear the customers happy voice in the background! In this day and age, the usage of San Luis Obispo storage containers is no longer limited to shipping out large cargo. 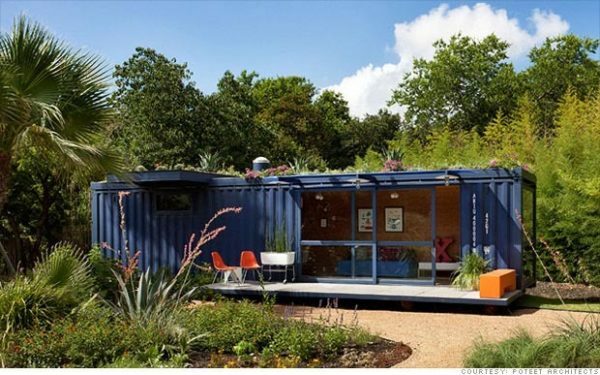 Both new and used shipping containers have seen a large variety of uses for other purposes, ranging from houses to garages to art studios to home storages. The ideas for conversions grow in number year by year. With a surplus of shipping containers all throughout the United States, there are plenty of deals to be found. In California, however, particularly in the Central Coast, there are very few storage container providers, so it can be highly beneficial to know what to scout out for when looking to rent or purchase a shipping container. San Luis Obispo Storage Container provider Container Stop is the premiere source for storage containers on the Central Coast. What will the container be used for? There are many kinds of shipping containers ranging in a wide variety of sizes, durability, material, and condition. These are factors that one should take into consideration when in-the-market for a storage container depending on what the intended use is. For example, if the intended purpose is to convert a used container into a home, the scent of the interior may be a deal-breaker. While minor issues like this can be easily fixed, some more major factors such as ventilation can be a little more costly to remedy. If planning to buy a used container, knowing the stats and history can be a huge step forward in achieving the desired results. Where will the container(s) be put? Location can have more of an effect on the cost of containers than one might think. For example, if the cheapest container provider is, say, 50 miles away, the cost of the delivery or truck rental combined with the cost of the container may wind up being greater than or equal to the cost of the more expensive, local shipping container dealer. Don’t let the price of the container itself cloud judgment, be sure to weigh the costs of both before making the final decision. Should the container be protected? Lastly, the amount of protection that comes with a container can be very important as well. Odds are, upon buying the container one won’t immediately begin the desired project. Until then, and even while in progress, it’s highly important that the container is protected. If the shipping container doesn’t come with a lock, consider having a lockbox installed or buying a chain and heavy duty padlock. –In the past couple of years, Morro Bay storage containers have seen a variety of uses previously unimagined. One of the most popular alternative uses for them is the building of sustainable, livable housing projects! This makes perfect sense when you think about it, after all, storage containers such as those found here at Container Stop are relatively cheap, durable, and conveniently sized; in essence, each individual container is a potential room, meaning you can build your home the way you want it. However, with Storage Container Homes still being a new concept in housing, there are few who possess the expertise necessary to build one as well as perform the modifications for things such as electricity, windows, and plumbing. Fortunately, we here at Container Stop are well-versed and fully capable of performing such modifications to our Morro Bay storage containers. And at that, we bring you these 5 tips to consider before taking on a storage container home project. 1. Inspect the containers before buying, or purchase entirely new containers. Storage containers generally vary in price depending on how many times they’ve been used. When you’re building a home with these things, it’s important that the containers you’re buying are in good shape. After all, buying a container at a good price is irrelevant if it’s unusable for the intended purpose. 2. Know your rules. Laws in each country, as you know, vary. This means that the guidelines for a container home in the U.S. may not follow the same regulations as a container home in Norway or France. Read up on your rules and regulations, container homes are just as susceptible to fires and other disasters as conventional homes. 3. Find a contractor that can handle the entire project. Making a container home is a step-by-step process. You’re gonna have to find a container salesman, perform the modifications, and then do the interior. Ideally you’d like to find a contractor that can do all of these things. That’s where we come in. Container Stop can deliver your containers, as well as perform modifications such as installing windows, pipes, and electricity to speed up the process. 4. Understand the market. What many people don’t know is that shipping containers actually come in a variety of shapes and sizes. Try to map out your plans for your home before purchasing the containers. 5. Know how to insulate. Morro Bay Storage Containers are susceptible to condensation during cold weather. Your best bet at combating this is to properly insulate the container, this is also crucial for maintaining heat if you don’t have ventilation systems installed. For your storage container modification needs, call Container Stop at 800-674-9343! –Container Stop, Paso Robles storage container providers, has recently announced the launch of a new website designed by Access Publishing, publishers of Paso Robles Daily News, Atascadero Daily News, and SLO County Visitor’s Guide. Their new website features a wide array of new tabs, including a gallery, home page, contact information, and request a quote, where visitors can email Container Stop for a quote on rentals or purchases. Container Stop is a Paso Robles Storage Container company started by local and Cal Poly graduate Garett Crocker to fulfill a need in the Central Coast and North County for outdoor, mobile storage. They offer fairly priced shipping containers as well as modification services to suit whatever needs you may have. Container Stop ships all throughout California, and will even ship out of state, but offers free delivery to local orders. For all of your shipping container needs, think Container Stop. Press release by San Luis Obispo SEO company Access Publishing, 806 9th Street, #2D, Paso Robles, CA 93446 (805) 226-9890. Here at Container Stop, our Arroyo Grande storage containers have the strength and endurance to withstand shipping, storage, and handling. They range from large reusable steel boxes used for intermodal consignments, to the universal crimped boxes most of us are familiar with. Many people have taken to using these containers as an alternative to rental storage units, and some have even found ways to turn storage containers into innovative housing. It is crucial that with these containers you secure them and keep them safe from thieves and vandals; here are 6 ways to assure their safety brought to you by Container Stop! 1. Lockboxes for your shipping containers. As many of us know, padlocks will not always keep your items safe, as many people can bust a padlock open with something as simple as a hammer. Unlike padlocks, lockboxes will are big steel boxes that simply cannot be tampered with; it’s near impossible to break through these! A lockbox will keep your padlock out of view and inaccessible to lock cutters, they’re inexpensive and easy to install. 2. Inner bolts are like deadbolts for your Arroyo Grande storage containers. Inner bolts are somewhat similar to deadbolts found in the doors of most houses; they are made of very solid steel that enables them to provide extra security to all types of containers. They lock the containers from the inside, making it near impossible to remove them from their position unless you can access them. 3. Crossbar locks: quick and easy. Crossbar locks are easily installable within seconds without welding; they prevent the primary doors’ handle from turning. Crossbar locks are designed so that even if someone were to succeed in cutting the padlock, they cannot get into the container. 4. Nothing says secure like an alarm system. No matter what for, alarm systems are always the best form of security; Traditional alarm systems can be used if your container is in close proximity to a building or phone line because they need an electrical connection or on-site landline. There’s also the GSM container alarm, which allows your 24-hour remote monitoring and wireless installation capabilities through the mobile phone network. 5. Perimeter fencing will keep those thieves and vandals at bay! Large perimeter fencing is made up of metal mesh and bars and in a row of razor wire at the top, making it incredibly difficult to climb. It won’t necessarily stop intruders, but come on, who’s really willing to climb a 9-foot fence topped off with razor wire?